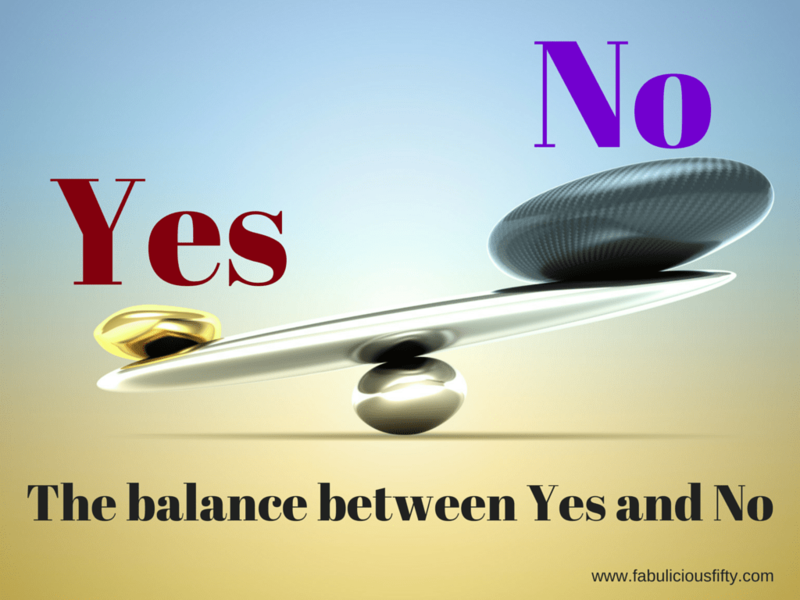 How to find the balance between Yes and No – is YOLO the answer? As a card holding people pleaser I have had to learn how to say no. After yet another week and weekend of non-stop activities a friend kindly pointed out that I may have over commitment issues. I was a bit taken aback, but when I thought about it I realised that he had a point. If I had plans for 8 in the evening, it was really easy to sneak another arrangement in after work. A Saturday was fabulous and could be divided up into all sorts of slices. Breakfast, housework, a craft class, and hour to work on my blog, drinks and dinner. I found myself scheduling my life away. Why did I do this? After stopping and actually staying home for a couple of evenings and thinking about it I realised that it was a combination of being a people pleaser and a serious case of YOLO – you only live once. I simply want to do everything. I really do love life and love celebrating life. If I have to choose between doing something exciting, meeting up with my friends or my sofa – I don’t choose the sofa, no matter how much I know I need it. Now, there is nothing wrong with living life in the moment– in principle, but we have to have some downtime too. Our bodies need to rest. Rest and relaxation is as important as eating. It is also as important as socialising. So ultimately it comes down to balance. I have had to learn to listen to cues from my body and know when a no is better than a yes. What I have learnt is that saying no is not offensive and it is acceptable. People do understand when you say no, and you can always reschedule and plan for another day. I live with a blood disorder called Pernicious Anaemia. It is complicated to explain, but the bottom line is that I do suffer from severe fatigue from time to time. Those are quite often the days when I have to simply say no thank you. At my friend’s farewell, instead of saying goodbye, he reminded me about my over commitment problem. Yes, I said and walked swiftly down the road to my second engagement of the evening. His words stayed with me and when I finally got home at 10.30 that evening and received a text message to say that the party was in full swing and that I was missing out, I said no. I think that this might be my balancing act that I will live with. Good thing I enjoyed the see-saw as a child. Thanks Liz. I had a laugh because last night I did the crazy thing again with too many plans. I have to to read my own blog to remind myself.